Gov. Chibuike Amaechi of Rivers State is not a man who renounces his decision after he must have consulted widely and believed in a cause. This is what came to mind on November 26, when news filtered into town that he has genuflected to the All Progressive Congress, APC, with four other governors, out of seven, who once held the People's Democratic Party, PDP, on its jugular, calling the shots that left what's known as the mainstream PDP, going on its knees with President Goodluck Jonathan calling meeting upon meeting, to resolve the crisis in the party that has dragged five governors out of the G-7, pitching tent with the APC. There is no better way to describe the decision Amaechi took order than it's splendid, because no man continues to stay in his village, when the kinsmen are riotous or are showing traits of inhumanity to the person. The merger is a good development. Such straightens democracy. It goes a long way to expose the fact that in a land where everybody thinks alike, it then means that nobody is thinking in that village. Gov. Amaechi and his crew seem to be the only persons, who thought in the PDP and decided to leave the party for what they termed numerous injustice and undemocratic tendencies that charaterised the PDP they were once leading members. No matter how the PDP prides and tell Nigerians and by extension the world, that these persons who left the party do not hinder the progress of the party, it is making flagrant mendacity and covering its face in humiliation. The truth of the matter is that the merger has shown how loose in crisis resolution that the PDP was. In the inner mind of the PDP, it would be regretting why it was not able to resolve the crisis that compelled its once staunch members to look at the door and moved out. In earnest, it's not Amaechi and his associates who were intimidated and humiliated, but the image of the PDP and Presidency, which have come to public probe of how transparent they are. This merger is holy and has whittled the boastful nature of the PDP, boasting that it's the largest party in the world. What the PDP forgot was that a political party is not measured by the size of its edifice, but by the size of its number. Without mincing words, the pull out of these persons have reduced the number of the PDP members and has increased the number of the APC members. The movement of Amaechi from PDP to APC is a progressive one. It's also sacrosanct that he would be moving to his new found party with all the people that are loyal to him in Rivers State. He is the governor of the state. He has structures on ground. Take Anambra for example; during the period Dr. Chris Ngige was governor and there was crisis in the PDP's fold in that state and power later went to the All Progressive Grand Alliance (APGA) through the court, the PDP has never regained its mud-slung leg in that state, to enable it stand. Conversely, main looking at, APC is not an opposition political party given the fact that its members are intact. It is the PDP which is still struggling with leadership qualifications that should be seen as the opposition. It does not matter whether a party is not ruling a country to be delisted as an opposition party. PDP cannot be said to be the leading party when it is opposing its members. Mark this word: Many are yet to pull out of the PDP. Amaechi and his group move is just a test tube. Although, this writer is not a member of any political party, his interest is purely on politics. It behooves all who calculate political dictates very well to understand that the APC is heading to victory. This is a party which at registration saw yank of wars. It was when the initiative to merge the major four opposition political parties in the country was hatched in February 6 3013, by some political bigwigs in the country to wrestle power from the ruling PDP, which many has seen the later as a sinking ship. Like Amaechi, it was not easy for the APC to sojourn to this day; because of setbacks it had faced following some groups that had said the acronym, APC, was their copyrights. It could be recalled that in March 2013, two associations – African Peoples Congress and All Patriotic Citizens – also applied for INEC registration. These groups adopted APC as an ellipsis as well. Observers decried this as the handiwork of the PDP. All the attempts orchestrated against the APC nearly forced it in April 2013, to change the name to the All Progressive Congress of Nigeria, APCN. This was to avoid further impediments. Many people and organizations called on Nigerians to embrace this neo-political party, according to periodicals in the country, before it was registered by the Independent National Electoral Commission, INEC, at the end of July, no matter all that pressure. One such group that did not hide its voice for this clarion calls was a socio-political Port Harcourt-based group known as Pilot Group, and called same. The group grumbled-about the need residents of Rivers State should embrace APC. This party was described by the group as a new hope for democrats in the country to realize their political aspirations without dictates of any sorts from those who see and carry themselves as demi-gods in politics, but especially, in the PDP. No blame for Amaechi! The bane of the country's politics is just the imposition of candidates against the wish of the people. In this philosophy, the Pilot Group said that there was no form of imposition in the APC platform. Against the backdrop that the party is Yoruba/Hausa political party, the Pilot Group saw that as an assertion of political propagandists in the country who do not mean well for the APC. The Pilot Group further said that statistics show that Ndigbo even populate the party; knowing that anything that Ndigbo are in forefront for, there is gain in it. It's considered that such positions as the Deputy National Chairman, South; National Woman Leader; National Organising Secretary, Deputy National Chairman, South; Welfare Officer, amongst others, are from the Igbo extraction. 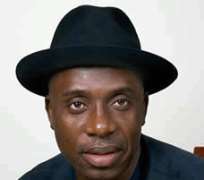 Hinging its point on the need for the residents of Rivers State to embrace the APC, the Pilot Groupsaid that this is a party that would rescue the country from all the political needs that people were unable to attain under the PDP; it is a party that would bring hope to the hopeless and make the hopeless to have hope. The need to turn the politics of the country into a true democracy is the hunger of the Pilot Group, which in its manifesto, is out to present Nigerians with a new lease of politics and democracy that is free from corruption, brickbats and sundry issues that sh[AUTHOR]ould not be obtainable in a democracy. The group pleaded that every Rivers residents should embrace and join APC. In its supplementary comments, the group said that APC is not a mere gang of betrayers that call themselves politicians. The Tuesday 9 July, where the Director, Department of Political Party Registration and Monitoring, INEC, Ibrahim Shittu, led a team on verification visit to the office of the All Progressive Change, APC, in Abuja, is one feat that Pilot Group was cheerful about. On that visit, the Interim National Chairman of APC, Chief Bisi Akande, said its members had demonstrated to INEC that they continued living as gentlemen with suitable accommodation. Pilot Group vowed that it would make sure that Rivers residents belong to this party that has been classified as one, full of gentlemen and women and, not in any other, where rancour is supreme. It said that this is the hope the APC has given to the INEC that geared the electoral commission to give a nod to its registration, with many conventions completed by all the fractions of the merging political parties, with various joint applications forwarded to the commission for registration. Gov. Amaechi and his fellow governors who defected, have to thank the forerunners of the formation of the APC, who have held and maintained unequivocal maturity since the February 6 2013, in making sure that there is an alliance of Nigeria's four biggest opposition parties in the names of the Action Congress of Nigeria (ACN); the Congress for Progressive Change (CPC); the All Nigeria Peoples Party (ANPP) and partly, All Progressives Grand Alliance (APGA). It would not have been easy for Gov. Amaechi and his men, if not for the formation of APC.